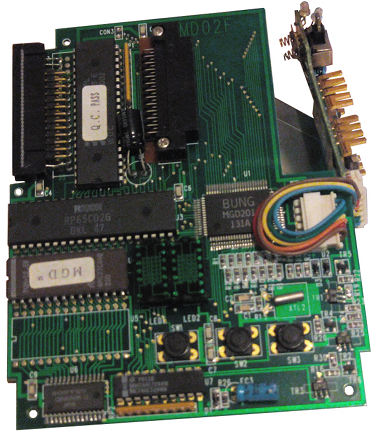 Here are pictures of the Multi Game Doctor 2 main board. Here is the list of the chips. 74HCT244N : 8-bit buffer/line driver with 3-state outputs. 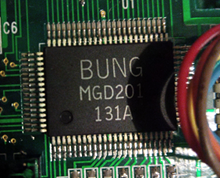 It can be used as a two 4 bit or one 8 bit buffer. Damn, this reminds me I forgot to sent it to the guy who dumped the magic griffin eprom.